Bluegrass Pundit: Obama reacts to VA scandal by A) Sending in the FBI, B) Forming a Cabinet level team, C) Dispatching one aide. Obama reacts to VA scandal by A) Sending in the FBI, B) Forming a Cabinet level team, C) Dispatching one aide. If you chose C, you are correct. Look for Obama to actually verbally acknowledge the crisis sometime in the next couple of weeks hours. One of President Obama’s top aides is being dispatched to Phoenix this week to investigate deaths allegedly connected to a Department of Veterans Affairs medical center there, part of the administration’s efforts to contain growing outrage over delays in treatment and accusations of rigged recordkeeping at veterans hospitals. Rob Nabors, a White House deputy chief of staff, has been assigned to assist top VA officials in probing allegations of wrong­doing by staffers at the Phoenix facility and elsewhere, the White House said Tuesday. 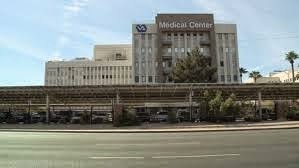 He will be meeting with Arizona hospital officials Thursday after gathering Wednesday with representatives from several veterans groups in Washington, officials said.